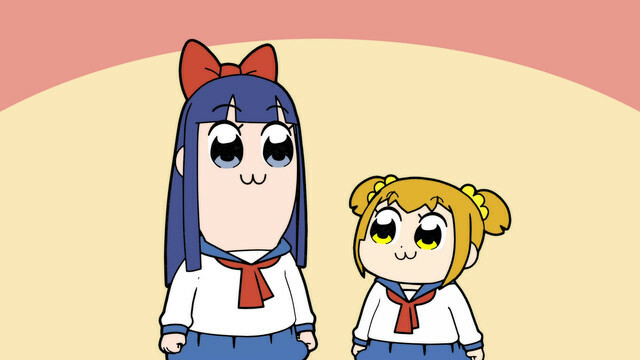 Is anyone watching Pop Team Epic? It's so...ridiculous XD I absolutely love it. Half of the jokes and memes fly over my head cause its often referring to Japanese things but omg it's so funny even so. I love these two mofos. I haven't had a chance to read the manga version and I'm actually behind on the anime itself but it's just trash and its the kind of trash that I need in my life. Also there's a cool channel that explains the references in detail in the show. This one is for the first ep. Oh man, words cannot describe just how much I love this show. It's incredible-though sometimes not all the skits hit their mark with me. I just want to know how much it cost to have four new voice actors for each episode and how the heck they managed to pull it off. Brit, I still need to watch this. I've seen stuff of this around, but haven't gotten around to watching/reading it yet, outside of clips and screenshots! Also, they have different voice actors each episode? Are the main two voiced by different people each episode?? Yes they are! For both the male and female versions of the eps.